Yhdistä Dropboxiin, Google Driveen, OneDriveen jne..
Don’t let old files clutter your storage. Now your local and network files and folders, including Zip files, can be scheduled for deletion. From “Expire Files”, pick the files and folders you want to schedule, specify the number of days before expiration, and click “Schedule”. 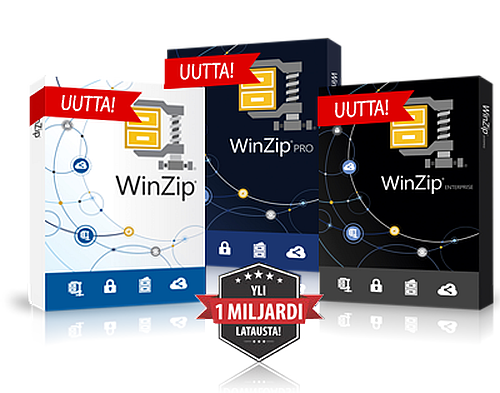 WinZip will remove them for you upon expiration. Scheduling cloud files and folders for deletion requires either WinZip Pro or Enterprise. Easily add files to Zip files displayed in WinZip’s Files pane. Simply drag and drop your files onto a Zip file in the WinZip Files pane and it gets added—just like that! A convenient way to share files stored in the cloud. When "Save link in the clipboard" checkbox is checked in the Save to Cloud dialog, a link to the uploaded (saved) file is placed on the Clipboard. The link can then be pasted into other apps, such as Skype or Word. Gain more space and security. WinZip’s conversions can now be used with the Job Wizard on files prior to it zipping them. Stop cluttering your storage with shared files and backups. Now Zip files and Log files created with the Job Wizard can be scheduled for deletion. Specify the number of days before expiration for each of your Jow Wizard created files. WinZip will remove them at the designated date automatically. The previewer pane can now expand to occupy the entire WinZip window with the click of a button. This provides more space for previewing file content, for zooming in and zooming out, and viewing the image in the new best fit and actual size options. Creating jobs is now more intuitive. Job Wizard now lets you focus on the task of choosing what you want to back up and how you want it backed up. Once you have specified the desired actions and have finished thinking about what you want the job to do, WinZip then asks for the job name. Don’t create your jobs from scratch. WinZip now has the ability to clone and modify an existing WinZip job. This allows you to take an existing job, make a copy of it and alter the copy to change how it operates from the original. NEW! Support Amazon S3/AWS regions. This is used for GovCloud (a government database system). The Amazon S3 like service, SwiftStack can now be added and used in WinZip. Rely on the world’s #1 compression software to zip, protect, package and share large files with ease. 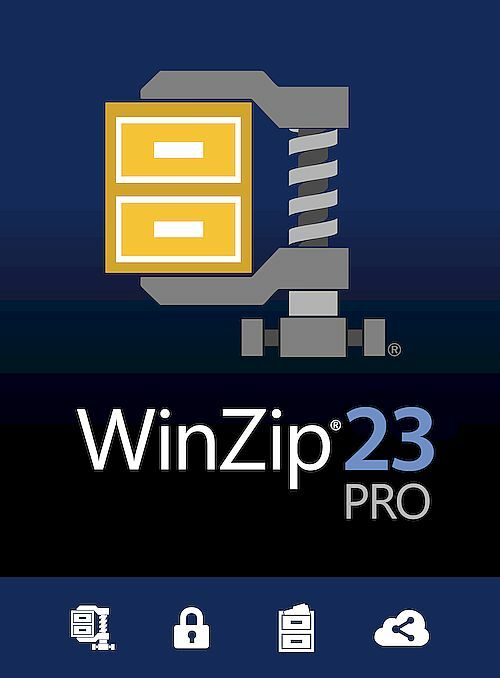 Get faster display and unzipping time, protect personal info with EXIF data removal, save and reuse favorite settings, and sort pictures by date taken, all thanks to the new WinZip® 23. Ready, set, zip! Rely on the world’s #1 compression software to zip, protect, package and share large files with ease. Get faster display and unzipping time, set file expiration dates, protect personal info with EXIF data removal, save and reuse favorite settings, and sort pictures by date taken, all thanks to the new WinZip® Pro 23. Ready, set, zip!